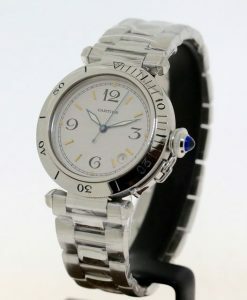 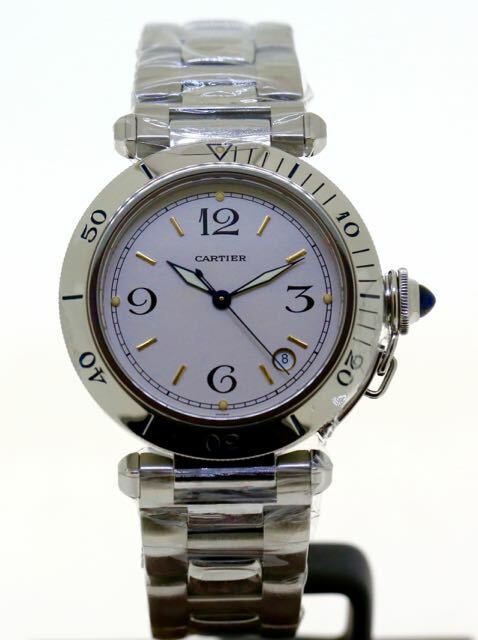 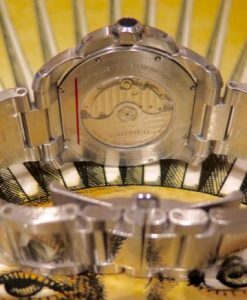 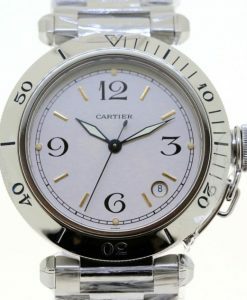 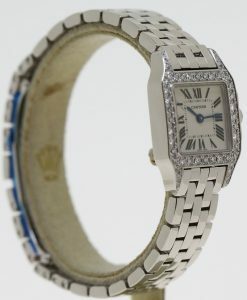 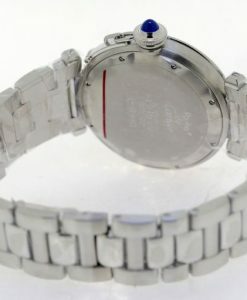 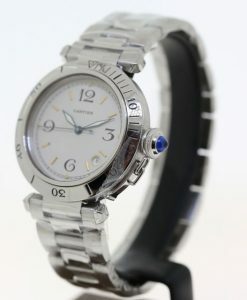 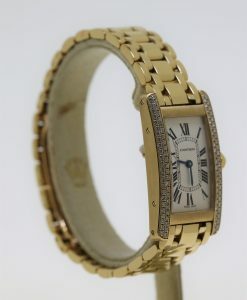 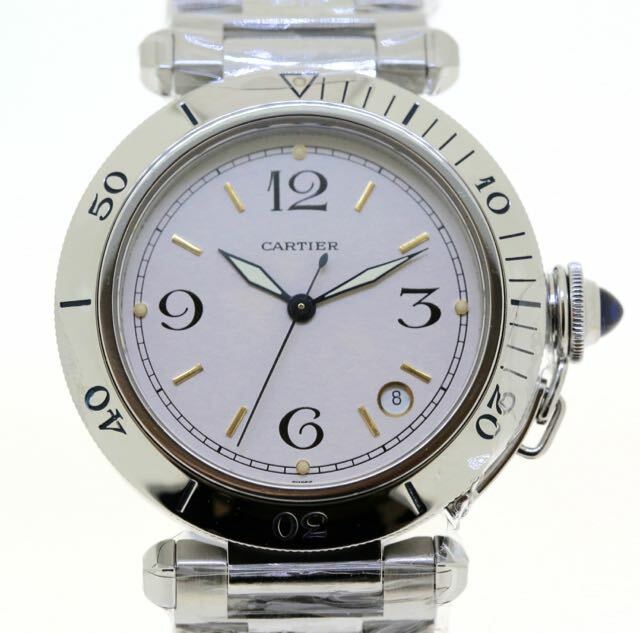 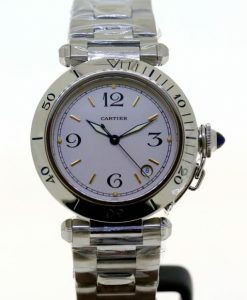 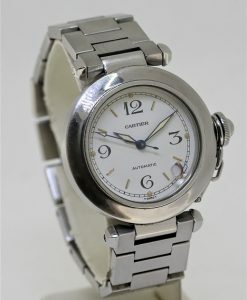 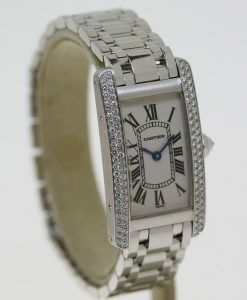 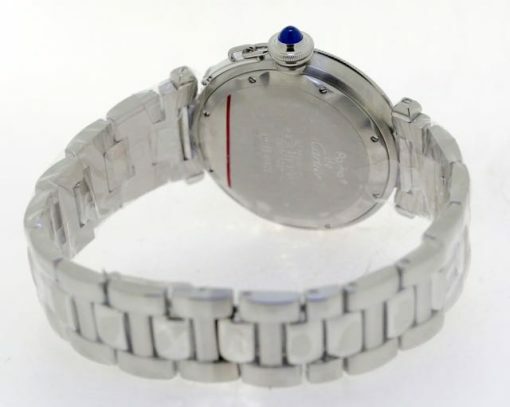 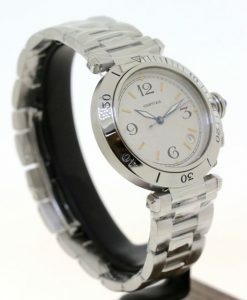 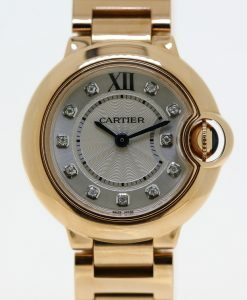 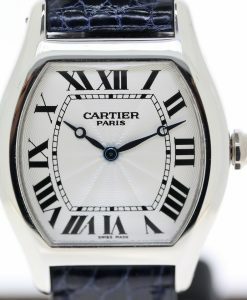 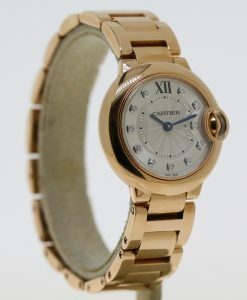 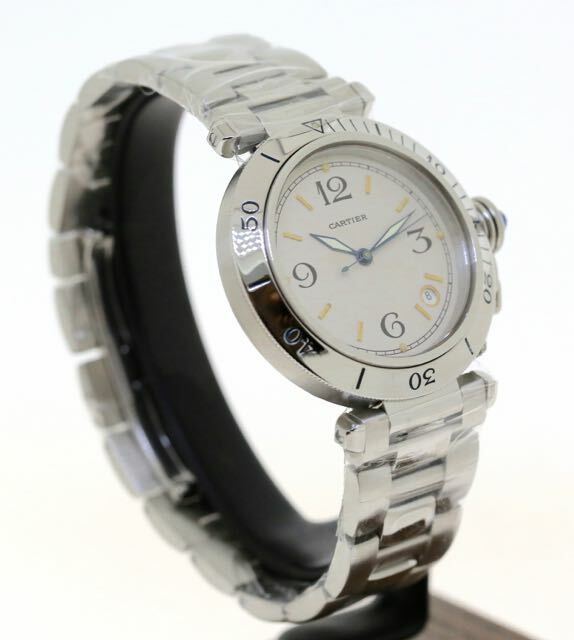 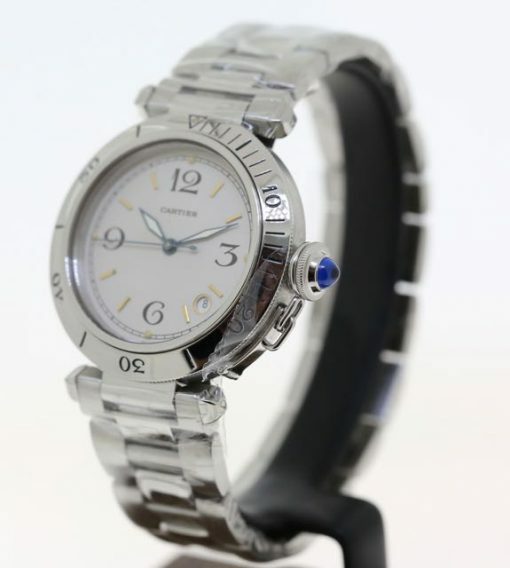 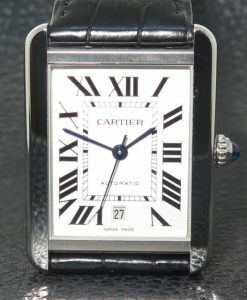 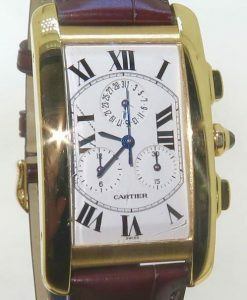 Cartier De Pasha gents automatic with date, SS with rotating bezel, full size bracelet. 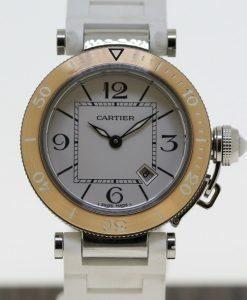 white with gold applied markers and numerals. 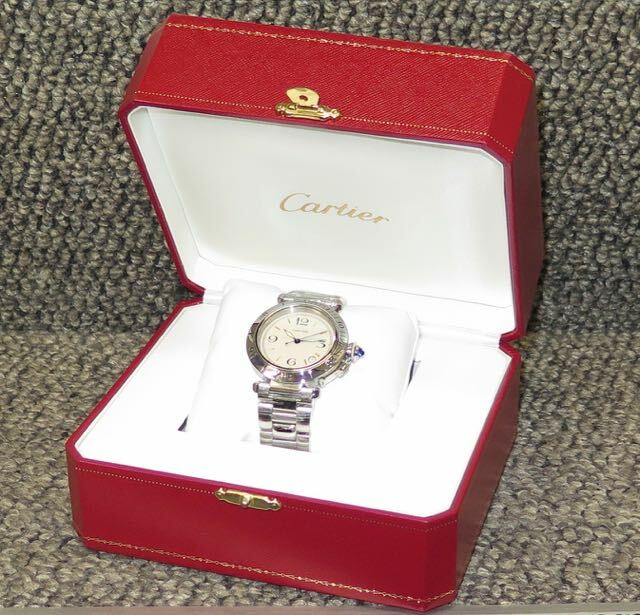 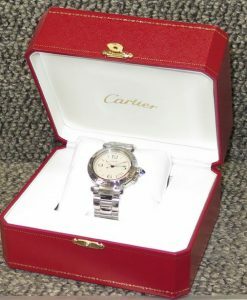 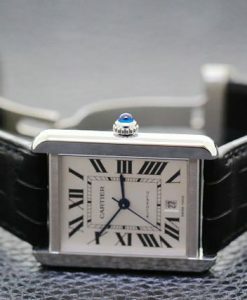 Cartier Calibre De Cartier Auto Date 42mm SS on bracelet W7100037 Just serviced & polished. 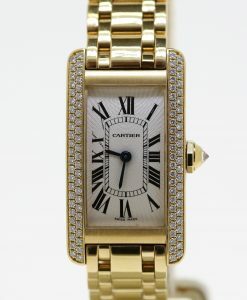 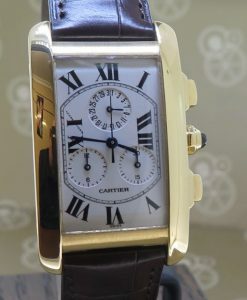 Cartier Tank American chronograph 18K yellow gold, on crocodile strap with Cartier 18k buckle. 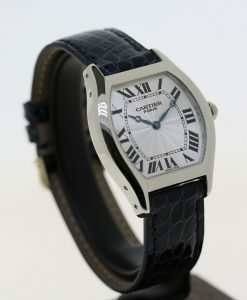 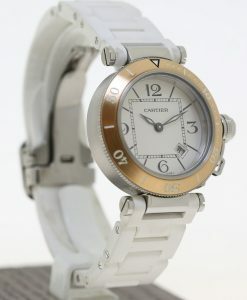 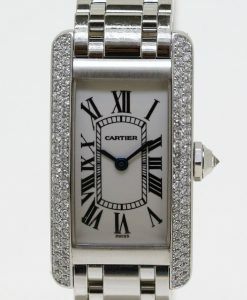 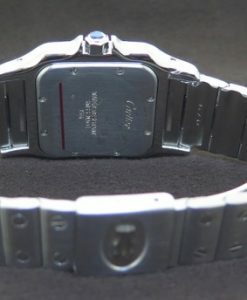 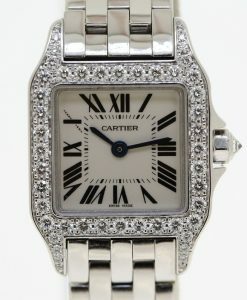 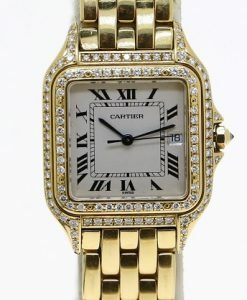 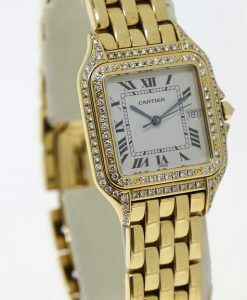 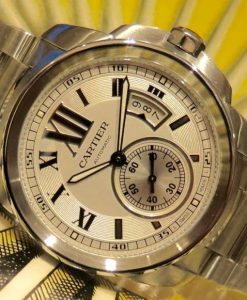 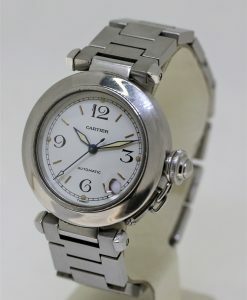 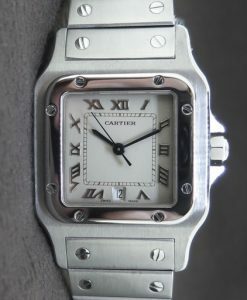 Cartier Santos Galbee ref 1564 stainless steel on bracelet, quartz movement.